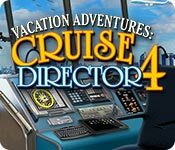 Vacation Adventures: Cruise Director 4 is rated 4.5 out of 5 by 42. 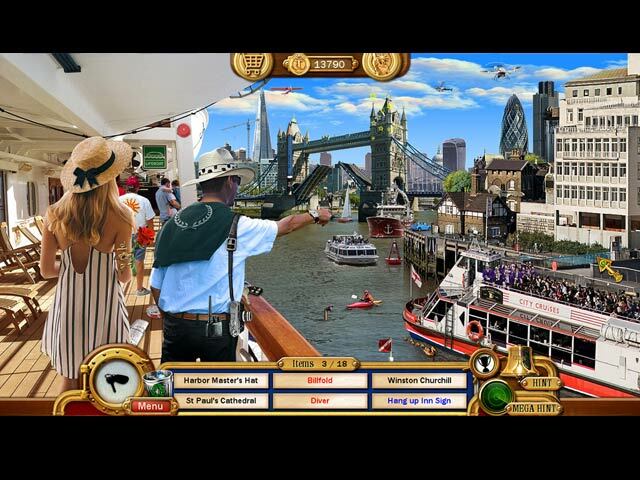 Rated 5 out of 5 by pattya58 from Love Cruise director series these games are great. They are relaxing and fun to play. The scenery is really nice, pretty, makes you feel you are right there. The same goes with the Park Ranger series. they are not overly difficult but yet challenging. Cant wait for the new Ranger 10 comes out. Havent seen a Cruise game come out in a long while. I have all the series in both Cruise and Ranger. I replay them a lot. They are colorful and music is soft. Great job Devs keep up the good work. On Cruise you go from island to the next, you visit the sites on the stops. Its great. these games are a change from the dark and dreary games. Rated 5 out of 5 by Marja67 from Take a Trip On A Sailing Ship. This is the first time tried this out. Now I'm going to buy them all. Neat graphics, puzzles and scenes. Rated 5 out of 5 by Sunshine566 from Game was challenging and fun to play I liked this game, graphics and HO's were excellent. I got bored at the end trying to find all the trash. Rated 5 out of 5 by Italia47 from I'd love to be a stowaway in one of these cruises! I'm pretty much up-to-date with the Vacation Adventures Park Rangers' games but this is the first cruise I've taken with this series and I must admit I like this a little better than the Park Rangers for some reason. Same concept; same game play but for some reason this suits me even more. What a delightful, laid-back game. The developers put a lot of work and thought into this adventure series. The music, the graphics intricate as they are--every scene, too, is amazing. Some scenes, however, have piles and piles of objects to locate and let me tell you it's not that easy, and yet some scenes are a breeze. But the graphics are really superb and I really enjoy the music. The mini-games are awesome. However, my least favorite are the puzzle pieces, not that there are a lot of them. I just don't always have the patience to do them, but I haven't skipped any so far. But each segment of this game has pretty much the same format, but it is not at all boring. I just take sit back, take my time and enjoy. The recycling is cool as well as finding the silhouette objects, and the amount collected varies from time to time. I love it! Again, it's not always easy finding them because many of the items are real small or hidden so well that it's a wonder you can find them. I haven't used the hint button once and I'm 3/4 into the game. I'm racking up those points like crazy! If you just want to chill than this is the game for you. The mini-games can be challenging and quite educational, too. It's a nice change from the gloom and doom games offered to us. I highly recommend this game. Rated 5 out of 5 by Nannykc from Love these games!!!!!!!!! I buy all the "VACATION ADVENTURE" games and we just love them!!! They are fun and are easy to do at the end of a hard day... don't have to find my way anywhere... don't get me wrong... they have some tough HOGs... but very fun... My husband and I both can't wait for each of them to come out and add to our list!!! Rated 5 out of 5 by pintade93 from One of my favourite games I just love this game. Perfect for rainy days. Only regret : the cruise is too short ! 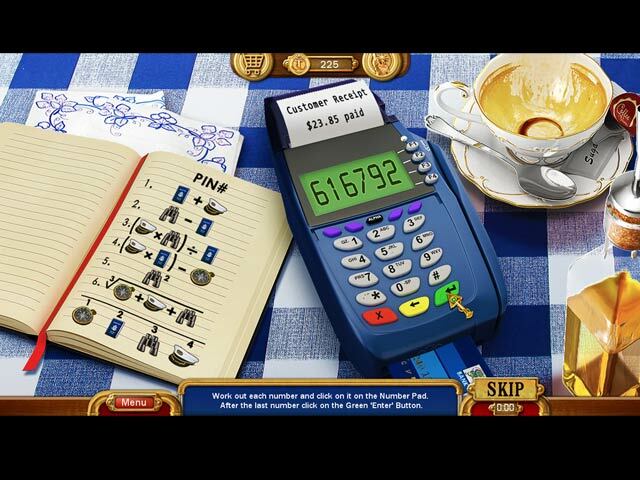 Rated 5 out of 5 by kdblueey from DON'T FORGET YOUR BOARDING PASS! Although I'm no longer a member of Big Fish, as soon as I saw that this game was being offered, I jumped at the chance to purchase it. I would have spent practically anything in order to add this game to my long list of games. This is how much I love ALL of the Vacation Adventures: Cruise Director, as well as the Vacation Adventures: Park Ranger games. Nothing has really changed much in this version, except maybe the items may be just a tad more difficult to find. But the faces are the same, as well as the music. But it doesn't matter. Sometimes change isn't always good, as in all of the Vacation Adventure games. I highly recommend this game. 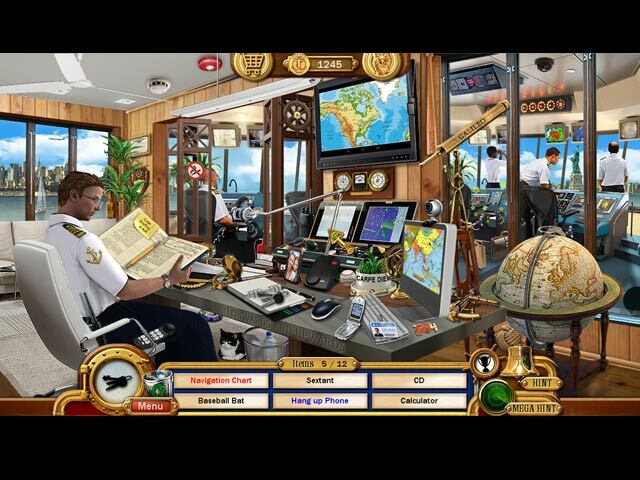 Rated 5 out of 5 by mihbrooks from Excellent game The best of the "Cruise Director" series! I am looking forward to the next game! The visual quality combined with storyline and the mini-games make the fourth series the best! Rated 5 out of 5 by pipster2860 from Simply love this game This game is so much fun, I really love it. I have all of the Cruises Director and the Park Rangers games. When you first start playing you dont stop til it finish. Hurry up with no 5 please AND the Park Rangers game to.